Marcelo Zarvos. | MOVIE MUSIC INTERNATIONAL. MMI. / CINEMA AND TELEVISION FOCUS. (formely Movie music Italiano). Brazilian pianist and composer Marcelo Zarvos has written for virtually every medium, from dance to the concert stage, film, television and theatre. Highly active also as a film composer, Zarvos’s work has been praised by Variety magazine for his “Affecting scores, which neither drown out nor underplay the steady sentiment”. Among his film scores are the hit comedy KISSING JESSICA STEIN, the Academy Award nominated short film A SOCCER STORY as well a collaboration with Eumir Deodato on BOSSA NOVA, REMEMBER ME, THE WORDS and WON’T BACK DOWN. John Mansell: Where and when were you born? Marcelo Zarvos: I was born in Sao Paulo, Brazil in 1969. John Mansell: You are a member of a group, did you perform with the group before you began to write music for film and television? Marcelo Zarvos: Yes, I performed and recorded my music through the 90s primarily in NYC, but also all over the US and went as far as Japan where I recorded for a label called MA Recordings. I wrote all the music and it was a blend of classical, jazz and Brazilian folk music. MA Recordings released three albums of mine and the first film I ever scored came from a director watching me perform at the Knitting Factory in NYC. He loved my music and his only direction was to do something in that vein. John Mansell: Your latest assignment is THE WORDS. How did you become involved on this project? Marcelo Zarvos: The directors loved my score for THE DOOR IN THE FLOOR. They sent me the script, which I thought was fantastic and after a brief phone interview they hired me. John Mansell: What are your first recollections of music and at what age did you begin to take an interest in it? Marcelo Zarvos: I fell in love with music primarily through The Beatles. Even though they split up around the time I was born, my parents had the Blue and Red compilations and I remember spending a lot of time listening to their music. Of course that led to me checking out all their records and I knew them by heart at a very early age. I started taking piano lessons when I was ten. Strangely I actually studied jazz at first and classical music came after a period in which was part of a rock band in Brazil called Tokyo. We had a record deal with CBS/ Epic and released two albums. We toured Brazil extensively and our first album had a collaboration with German singer Nina Hagen, whom we opened for during one of her Brazilian tours. I quit the band when I was seventeen to resume my musical studies. And no, it was not a boy band. We wrote and played everything and were heavily influenced by 80s Brit pop bands such as The Cure, Duran Duran and U2. John Mansell: Was writing for film something that you had always been attracted to or was this something that happened as your career in music progressed? Marcelo Zarvos: I had always been attracted to film music. When I came to the US in 1988 I went to Berklee College to attend their film scoring program. However when I got there I decided it was too early to specialize so much and I ended up spending the next ten years doing music only. I transferred to California Institute of the Arts where I was exposed to a wide range of music and art ranging from Gamelan, African and Indian music to contemporary classical and avant garde jazz. Not to mention all the other amazing art that was on campus such as dance, theatre, visual arts and animation. John Mansell: Do you perform on any of our scores for films? Marcelo Zarvos: I perform piano and all keyboard instruments always. 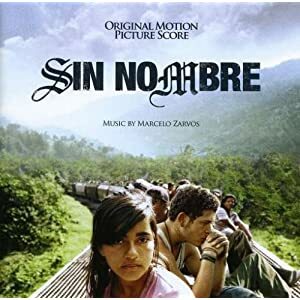 Occasionally I will also conduct the scores in certain cases like SIN NOMBRE and BROOKLYN’S FINEST. John Mansell: What musical education did you receive? Marcelo Zarvos: I graduated from California Institute of the Arts with a BFA in classical piano performance, and also got a Master’s Degree from Hunter College in NYC (also in classical piano). I tried repeatedly to study composition but frankly was always stuck with teachers who didn’t really know what to do with me. It would always end in them trying to convince me to write some version of serial and/or atonal music at which point I would quit. I consider my composition studies to be the ten years I spent playing through the classical repertoire from Bach to Bartok, Beethoven, Cage, Messiaen and so forth. John Mansell: How do you work out your musical ideas when writing for film? Do you utilize computer, piano or do you write out sketches on manuscript and then develop these further? Marcelo Zarvos: I do both. I tend to like to write away from picture at first. Getting themes that are strong and stand on their own. In these days when locked picture is a thing of the past and cuts are changing rapidly I have found that the more inner life and integrity the music has, the better the chances it will adapt itself to entirely different cuts and scenes. John Mansell: Your score for REMEMBER ME was a rather understated one but also one that worked very well and became an integral part of the story. How did you become involved with the project and how many musicians did you utilize on the score? Marcelo Zarvos: We had a core chamber group of about 12 players, and in a few cues, particularly towards the end of the film, we had a 40 string band which we recorded in Bratislava. That was one where I started writing while they were still shooting. A lot of the music was written that way and so by the time they got to the editing room we had all of our themes and basic concept. There was never a temp score. John Mansell: Do you do all of your own orchestrations or do you at times use orchestrators and do you think that orchestration is an important part of the composing process? Marcelo Zarvos: I always work with an orchestrator as there usually is no time to do it on my own. My mock-ups are pretty realistic sounding though and at least half of the time the orchestrator is simply transcribing what I do, kinks and all. John Mansell: What kind of time schedule do you normally get to produce a score; by this I mean from the first time you see a movie through to the finished version? Marcelo Zarvos: 6 weeks is great. Anything over that is just gravy. But of course I have done scores in a much tighter schedule. PLEASE GIVE we had 10 days. THE GOOD SHEPHERD about a month (for almost two hours of music). John Mansell: When writing a score do you have a set way of working; by this I mean do you like to develop the score from a main theme, or do you maybe tackle larger cues first then move onto lesser cues, or do you start at the main theme and work through to the end titles? Marcelo Zarvos: I tend to vary it a lot. Sometimes I will write a suite with a few themes which we can them experiment and see how/ where it fits. ON LAST STOP 174 I wrote the final cue first. And of course there have been many times when I started with the Main Titles. John Mansell: BEASTLY is one of your latest scores. What size orchestra did you utilize for this soundtrack and how did you get involved with the production? Marcelo Zarvos: BEASTLY had a 50 piece orchestra. The director (Daniel Barnz) and I really hit if off. He loved my work and I had seen and really enjoyed his fist film PHOEBE IN WONDERLAND. We actually recently completed our second collaboration, WON’T BACK DOWN, which is coming out in late September. John Mansell: When working on a movie at what stage of the proceedings do you prefer to be involved, i.e. do you like to see a script or wait until the movie is in its rough cut state? Marcelo Zarvos: Again, it depends on the project but as a rule I would say the earlier the better. Something like REMEMBER ME is what I aim for in that respect. Start early, end early. John Mansell: How many times do you like to see a movie before you start to get ideas about the music and where music can be placed to serve the movie best? Marcelo Zarvos: I try to watch it once without thinking about music at all. On my second viewing I might have a pad to take some rough spotting notes and from then on I hit the ground running. John Mansell: What composers would you say have influenced you in the way you compose music or approach writing music for a film? Marcelo Zarvos: My heroes are Bernard Herrmann, Nino Rota, Georges Delerue and Ennio Morricone. On the contemporary side I would say Elliot Goldenthal, Harry Gregson-Williams and John Powell are some of my favourites. John Mansell: You say that you do conduct certain scores but at other times you have someone conduct for you. Is this to give you more time to supervise proceedings in the recording booth etc? Marcelo Zarvos: Most of the time I use a conductor for the reason you mention. A lot of the times the director is there and the dialogue continues and sometimes we’ll make BIG changes on the spot. I recently did a score for David Mamet and we changed a lot of stuff on the spot, sometimes rewriting entire melodies and giving them to orchestra right then and there. between writing for film and writing for the stage or a ballet? When writing for film I should think you have to be very disciplined due to timings etc, so is it less constricting working on non film projects? Marcelo Zarvos: That is probably true, although timings don’t really scare me. At the end of the day it’s all about the integrity of the music. I’ve had great luck in the kinds of films I have been involved in and sometimes a non film project can be just as constricting. I once worked with a dance company that used a temp score (very unusual) and it was really tough getting beyond that. But the short answer is yes, non film projects tend to have a lot more freedom and also responsibility since the music usually has to fill a much larger space. John Mansell: You worked with Eumir Deodato on a film score. What was his involvement on this particular project, and what was he like to work with? Marcelo Zarvos: The film was called BOSSA NOVA and was directed by Bruno Barreto. It was the first time I ever worked on a feature film. I started as his assistant but ended up writing a bunch of cues. It was very exciting. Many years later I collaborated again with Bruno on Last Stop 174. Eumir is an incredibly talented musician. There was bit if culture shock since he hadn’t scored a movie in a long time and I believe the schedules were very gruelling for him. But, I was young and learned a lot. Most of the time I would just try and take in what all these people were saying and try to file it away as I knew how lucky I was to be there. John Mansell: Do you think that you are represented well on recordings that are released, and do you have any involvement in selecting what music will go onto any compact disc release? Marcelo Zarvos: I always pretty much decide what goes on the CDs. I try to put as many scores out as possible for commercial release. There are a few I wish had been released as soundtrack albums such as YOU DON’T KNOW JACK and THE AIR I BREATHE, but in general I have had the good fortune of having a majority of my major scores released by a label. John Mansell: What are you working on at the moment? Marcelo Zarvos: I am currently working on a great project called LOOK OF LOVE, directed by Arie Posin and starring Annete Benning, Ed Harris and Robin Williams.